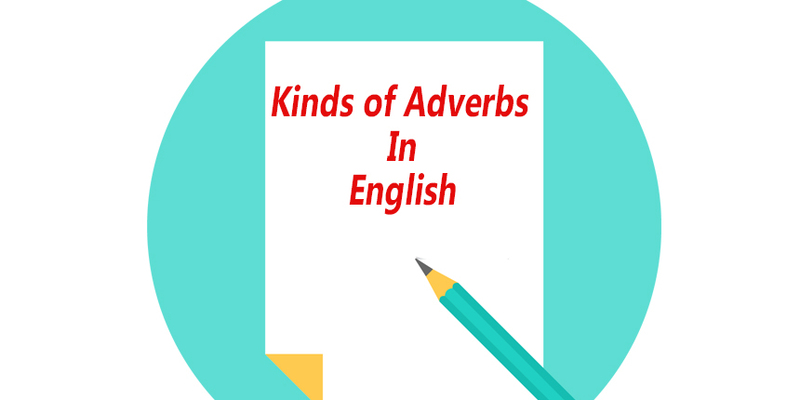 In this lesson we will talk about all kinds of adverbs in English, but initially, you should know what an adverb is. A word which modifies, explains, and clarifies the meaning of a verb, an adjective or another adverb is called adverb. He runs quickly enough to win the race. Explanation: In the above first example, the word “hard” is an adverb which modifies the verb “work”, in the second example, the word “so” is an adverb which modifies the adjective “beautiful”, and in the third example, “enough” is an adverb which modifies another adverb “quickly”. There are different kinds of adverb expressing different meaning. The following are the most used and common adverbs in English. An adverbs of manner is used to tell us how something is done or happens. They answer the question “how?” Adverbs of manner mainly modify verbs. Most of these adverbs end in –ly such as: carefully, slowly, badly, and some of them don’t have –ly ending such as: well, hard, fast etc. An adverb of place is used to tell us the place where something is done or happens. They answer the question “where?”. Adverbs of place mainly modify verbs, and we use these adverbs after the verb or at the end of a sentence. An adverb of frequency is used to tell us how often something is done or happens. Adverbs of frequency mainly modify verbs. Words used as adverbs of frequency include again, almost, always, ever, frequently, generally, hardly ever, nearly, always, never, occasionally, often, rarely, seldom, sometimes, twice, usually, etc. An adverb of degree is used to tell us the degree or extent to which something is done or happens. They answer the question “how much?” or “to what degree?”. Adverbs of Degree can modify verbs, adjectives and other adverbs. Words of adverb of degree are almost, much, nearly, quite, really, so, too, very, etc.